Finally after so much needed thinking I became apart of the group of people that had upgraded their Glocks. 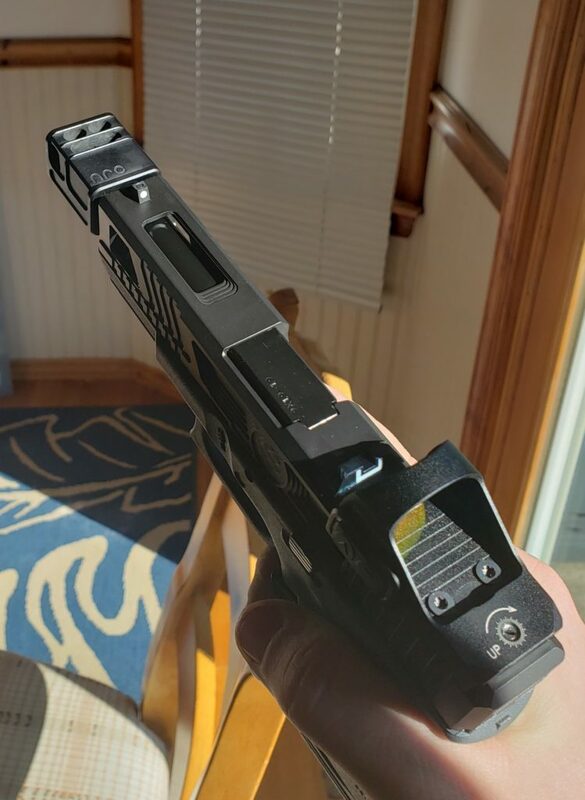 I’ve done a few things to upgrade my Glock 19 such as a new barrel, slide cuts, a red dot, and now I have added a compensator to the build. This is something that I have had on my mind for awhile. 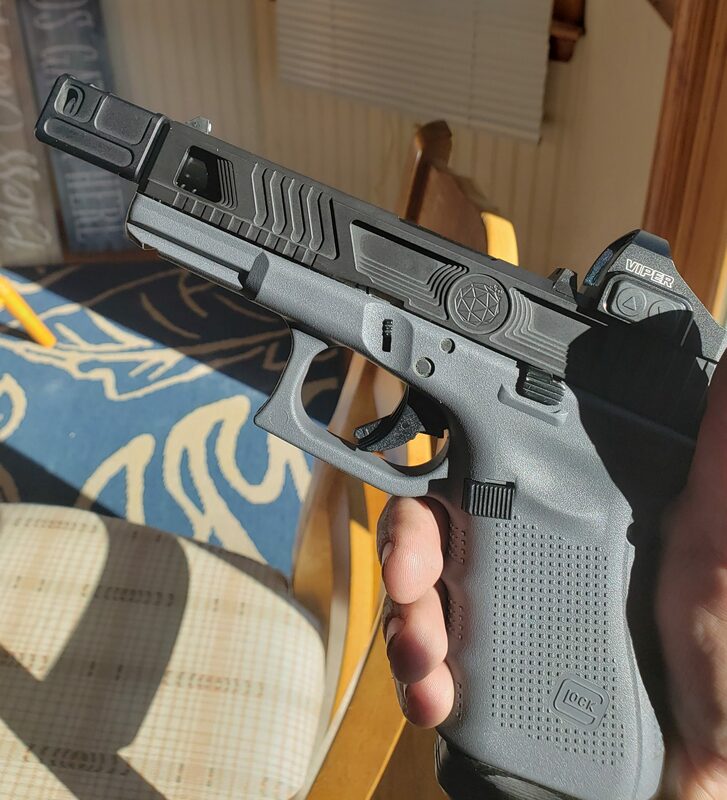 The compensator comes from the company known as Arc Division, and now I am going to put this company to the test with my pistol at the range. Jumping right into this I have to say that when it comes to installing the compensator it was pretty easy. All you had to do was take the compensator, put a few dabs of Loctite on the threads of the barrel and screw it onto the barrel. Making sure that the compensator is lined up with the slide of the pistol I had set the pistol on a pistol mount that I have and let the Loctite set. Stay Pins are added to securely tighten down comp. Slide and compensator do line up well together with slight overhang off the side of the slide, due to the width of the compensator. I took my pistol to the range in order to fully get the right idea on how it would affect my shooting. 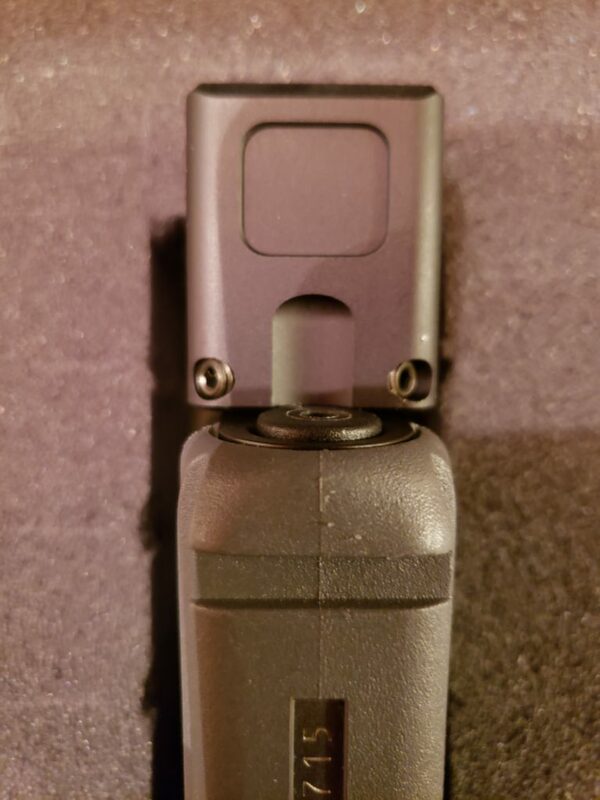 I used another Glock 19 that did not have a compensator before I had used mine in order to get a full comparison on the difference the compensator would make. 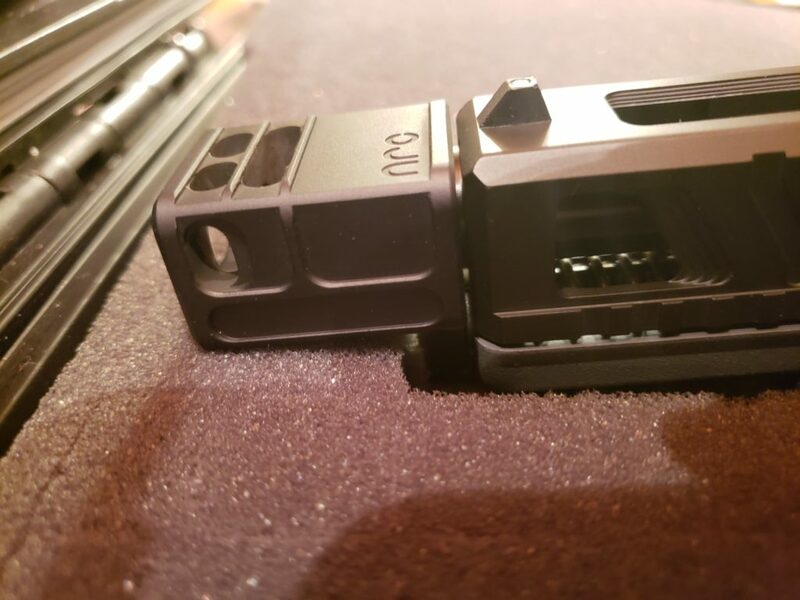 As expected when it comes to shooting the non compensator Glock 19, there was a good bit of muzzle rise that you would normally expect. When it came to resetting I would have to make sure that I was aligned each time. 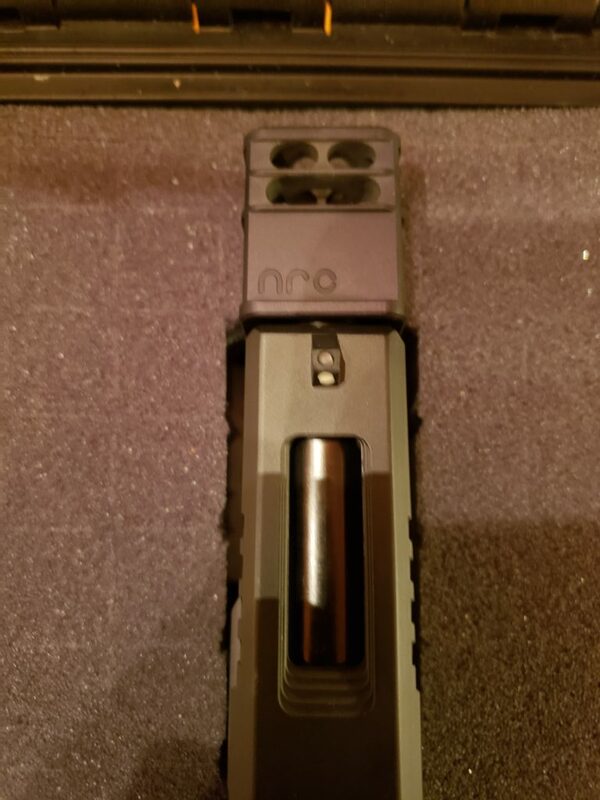 Moving on to my personal Glock 19, with the Arc Division compensator I had noticed a few different things that had caught my attention that made me realise that this compensator was more beneficial than I had initially believed. First, when it comes to the compensator there are a few different cuts that expels the gas from each round in different directions out of the top and sides of the compensator. Muzzle rise was cut down dramatically when it came to firing the pistol. My final thoughts on the Arc Division Compensator are extremely positive. The aesthetics of the compensator are superb. Installation was super easy, not giving me any trouble at all. Performance was exceptional, I was able to shoot with muzzle rise being cut down dramatically. Overall, I would have to say that Arc Division has made a product that I believe offers a lot of benefits to the shooter. Marine and avid shooter. Brand Ambassador to many companies in the firearms industry. Lover of freedom, firearms, and America. Currently attending school for nursing to be a trauma nurse.